There’s a lot of innovation in the world of under eye concealers right now, as we’ve seen from previous reviews including ReCover Correct and Conceal Red and Transformulas. However, this innovation has so far come with a not inconsiderable price tag. So I’m pleased to say that today’s concealer with added benefits is much more pocket friendly than most. 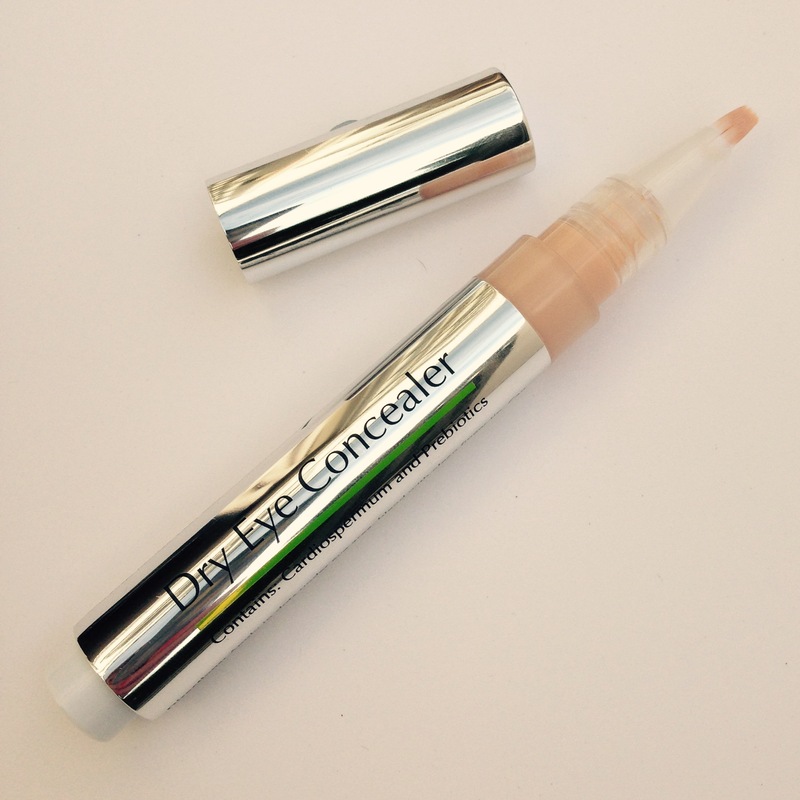 Dry Eye Concealer is a product that, from the name of it, doesn’t sound particularly exciting. But once you start to delve a little deeper and look at what it does, what it contains (and what it leaves out), the story starts to get more and more interesting. It’s one of those Alice down the rabbit hole products that gets better the deeper you go. From meh to Prize this out of my cold dead hands at your peril. As luck would have it I was well-placed to try this out, as the retinol-based eye gel I was testing out gave me patch of dry skin under the eyes. The universe does love to play with us sometimes. Essentially what this is, is a concealer with added skincare benefits. Its aim is to conceal dry, red and flaky skin around the eyes whilst also calming and treating the skin at the same time. If you suffer from eczema or dermatitis around the eyes then this is for you. Dry Eye Concealer is free from parabens, perfumes, SLS, and MI (methylisothiazolinone – a type of preservative which can cause irritation and allergic reactions). The key ingredient at work is called Cardiospermum. Yes I know the name is slightly fnarr and conjures up images of spermatoza at the gym. It’s actually a natural vine extract used to calm down dry and irritated skin. It grows throughout India and has long been used by traditional herbalists to treat the skin. It certainly worked on mine, and my dry eye patch disappeared completely within a few days of use. The product is dispensed via a clicker pen with a brush at the end – very much in the vein of YSL’s classic highlighter Touche Eclat. It’s got a light and creamy texture that doesn’t settle in to fine lines at all. The clicker on mine was slightly unreliable, in that nothing would come out and then too much. So you have to resist the temptation to click too much if it doesn’t flow straight away. Dab it on to the skin, then blend in with fingers or a brush. It disappears straight away, with only the slightest hint of sparkle from the light reflecting particles. These are designed to brighten and illuminate under the eyes, and again remind me a lot of Touche Eclat. If you have very dark under eye circles then you might want a more heavy duty concealer, such as Benefit’s Erase Paste, but for lighter coverage, it’s great. 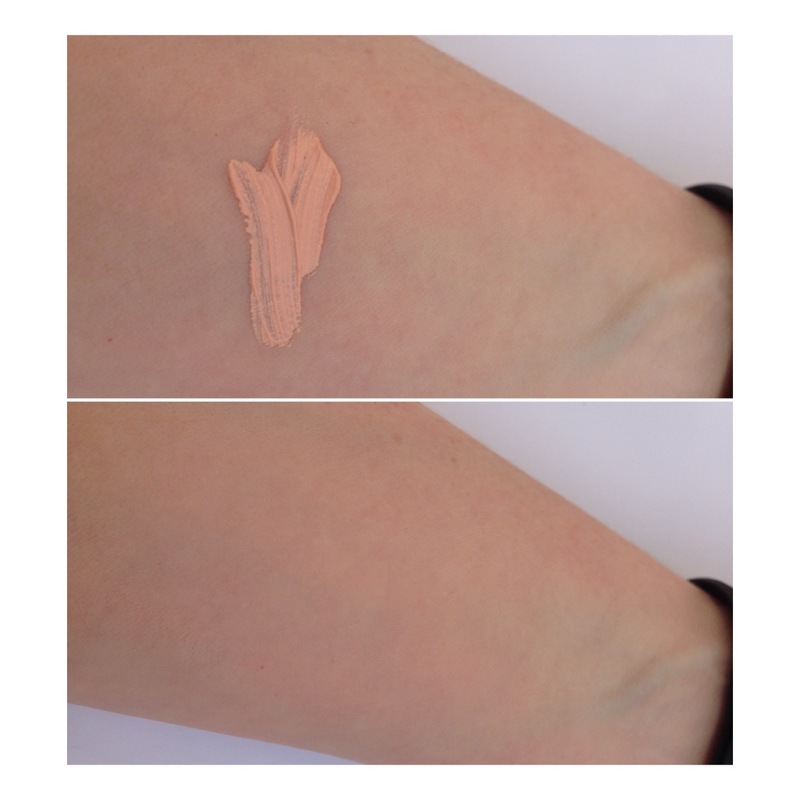 The down side with this product is that it only comes in one shade option at the moment, for paler skin. As you can see above it is slightly pink in tone before it disappears into the skin. When will brands start offering a darker skin tone option as standard? Soon, I hope. All in all, as Touche Eclat dupes go, this is a good one. 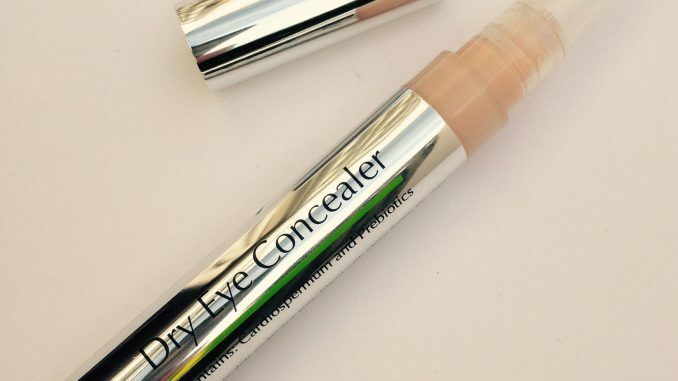 Despite the fact that it sounds like it’s been named by an SEO company, Dry Eye Concealer totally lives up to its name, and then some.